This week was Fire Safety Week. We practiced our fire drills and talked about fire safety at home (never playing with matches, being careful that you never throw toys or clothes on space heaters). We talked about the importance of having (working) smoke detectors at home, and the importance of having a safety plan. Please take the time to explain to your child where you should meet if there is a fire at home. We don't want to scare them, but we do want them to act safely and calmly in an emergency. 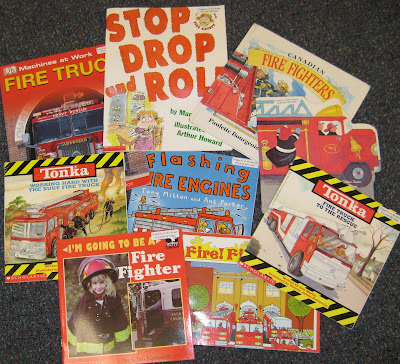 We'll keep reading Safety related books throughout October.